I know I’ve mentioned this before, but my winter wardrobe is pretty consistent with an all-black theme. Every now and then, I like to toss a statement piece like this shearling vest into the mix. It brightens up any black ensemble, while adding texture and interest. Not to mention it’s super cozy!! This Etro piece is far from budget-friendly, but it is now ON SALE! It’s actually half off at the moment. If you love the look of this vest but want one that won’t break the bank, I’ve rounded up a few for ya! 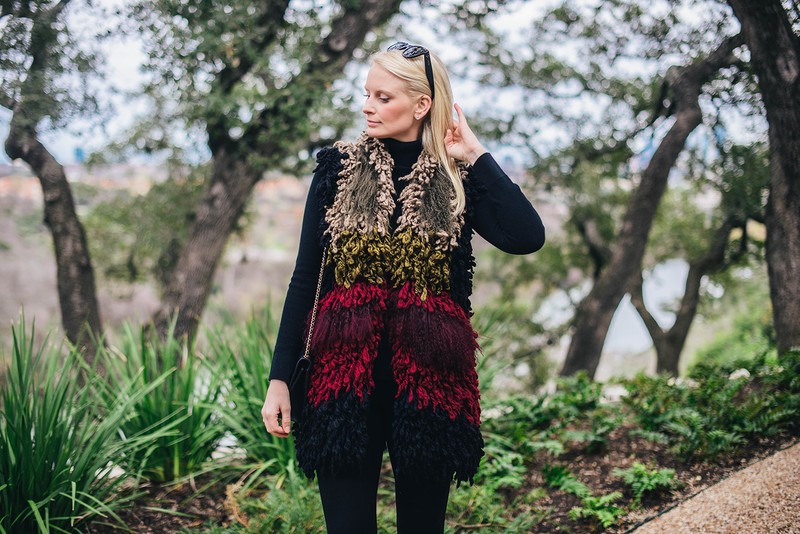 This Trina Turk faux fur vest is almost an exact look-alike, don’t you think? 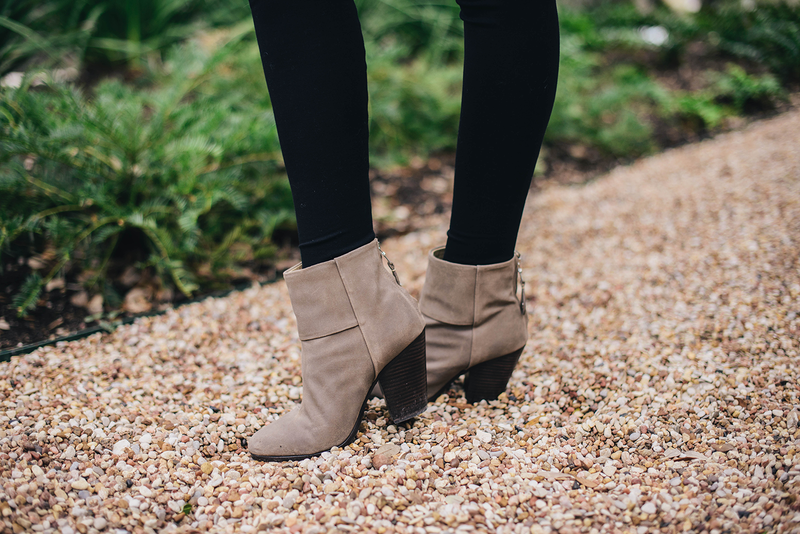 This patchwork style is only $99! This ombre shaggy vest features a gorgeous set of neutrals. This solid green faux fur vest is a gorgeous option for a night out! PS – Shopbop is offering an additional 25% off all sale items until tomorrow night! Don’t miss the chance to snag fab finds like this classic mock-neck sweater, this fitted black flares, or this lovely lace Carven number for spring! Enter code EXTRAEXTRA at checkout. How amazing is that vest! Such a beautiful piece! 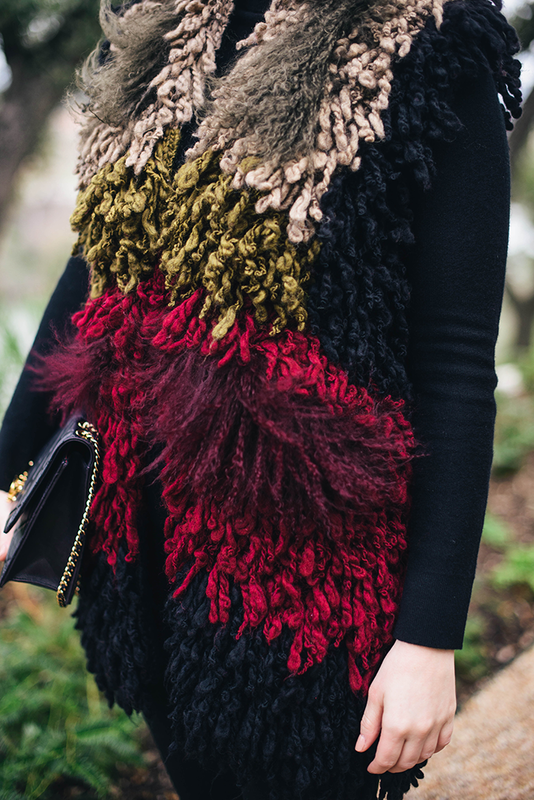 That vest is such a fun statement piece! Love this look! Gah!!! 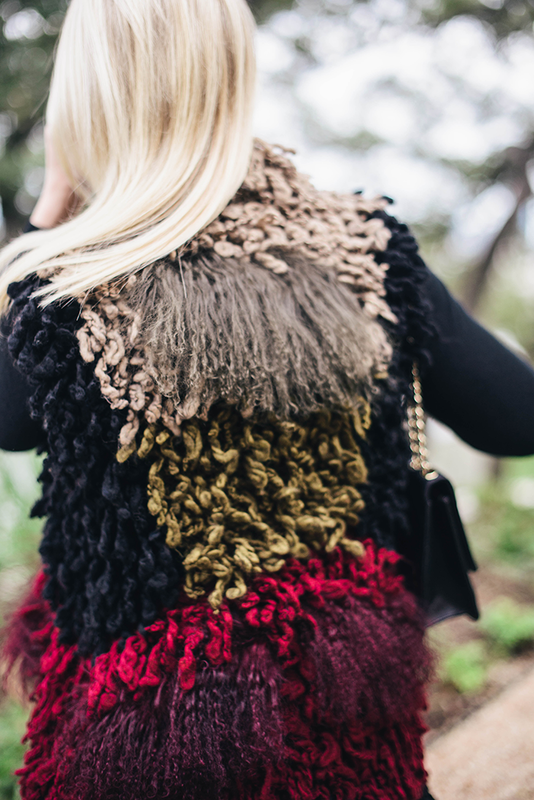 Dying over this vest, Merritt.